Short Bio – I am Research Director at Inria and leader of the MIMESIS team. My main research interests are in real-time physics-based simulation (of soft tissues, fluids, flexible medical devices, imaging processes) and medical applications of this research, such as training, planning and image guided therapy. I am author or co-author of more than 150 scientific articles and involved with several key conferences of our research domain. 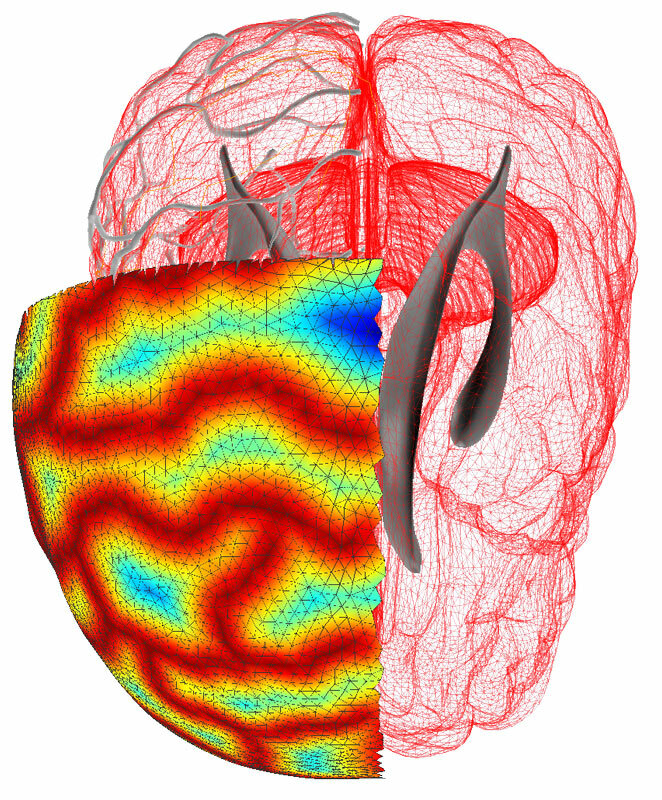 In an effort to disseminate our work and to accelerate research in these fields, I initiated and developed the SOFA project, which is now a reference Open Source solution for developing advanced simulations. I am also a co-founder and president of the scientific board of InSimo. Before this I was the research lead and vice-head of the Simulation group at CIMIT and an instructor at Harvard Medical School. My research, and the main focus of my team, is to develop new solutions at the crossroad between imaging, robotics, medicine and computer science. My other objective is to create a synergy between clinicians and scientists as a mean to develop new technologies that can redefine healthcare. The scientific objectives of our new team, MIMESIS, are related to this ambitious objective. Over the past years we have developed new approaches supporting advanced simulations in the context of simulation for training. The best example of our success in this area was certainly the work done in collaboration with the HelpMeSee foundation, leading to the creation of our start-up InSimo. 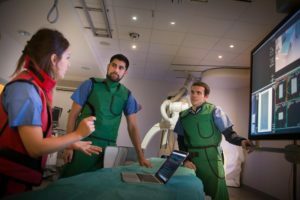 We now propose to focus our research on the use of real-time simulation for per-operative guidance. 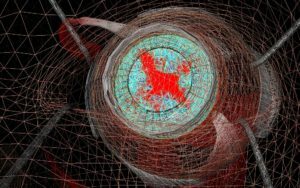 The underlying objectives include patient-specific biophysical modeling, dedicated numerical techniques for real-time computation, data assimilation and data-driven simulation. Innovation Prize – Delivered by Inria and Thales, Dec 2018. More here. Academy of Sciences Award – Delivered by the French Academy of Sciences, Oct 2018. More here. Dirk Bartz Medical Prize – Eurographics 2015 – Award for our contribution to medical simulation through the development of SOFA, Zurich, 2015. Invitation to the French National Congress – Demonstration of our work on cataract surgery with HelpMeSee, Paris, 2014. 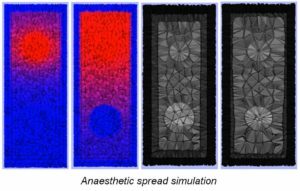 Best Paper Award – ISMAR 2013 – Image-guided Simulation of Heterogeneous Tissue Deformation For Augmented Reality during Hepatic Surgery. IEEE International Symposium on Mixed and Augmented Reality, 2013. 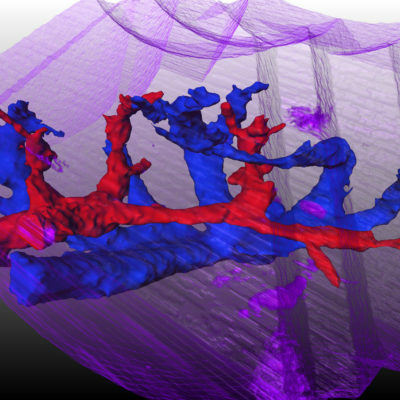 Young Scientist Award – MICCAI 2009 – Toward Real-Time Simulation of Blood-Coil Interaction during Aneurysm Embolization. London, 2009. Best Paper Award – VRIPHYS 2005 – Interactive physically-based simulation of Catheter and Guidewire, Proc VRIPHYS, Oct 2005. Elsevier Computer & Graphics Top Cited Article (2000-2010) – Interactive Physics-based Simulation of Catheter and Guidewire. Computers & Graphics, Volume 30, Issue 3, pages 416-422 (2006). 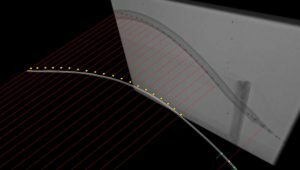 Virtual cutting of deformable objects is at the core of many applications in interactive simulation. 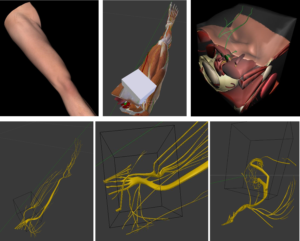 The ability to simulate surgical cuts, dissection or soft tissue tearing is essential for augmenting the capabilities of existing or future simulation systems. In the team Mimesis, we addressed this subject in different ways, the main ideas are presented below. 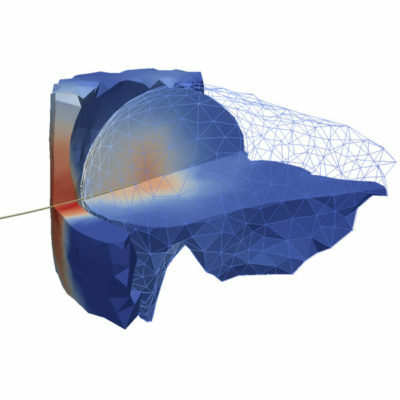 We combine a new remeshing algorithm with a fast finite element approach. Using combinatorial maps a separation induced by a cut or tearing is incorporated into a volumetric mesh. Our remeshing idea is based on simple topological operations, that we will explain in two dimensions first and in three dimensions in the latter. Our approach starts off with a discrete representation of an object as a mesh and the position where a separation is taking place (in grey). Intersections between the separation and edges of the mesh are detected (red). The triangles around edges that have been identified as being cut, are split into three new triangles inserting a new node on the cut for each cut triangle. The inserted nodes are connected using an operation called flip 2 to 2. We finally obtain a discrete representation of the separation inside the mesh and duplicating of the inserted nodes results in a mesh that can separate at the separation curve. In a similar way, our method works in three dimensions: we apply a split 1-4 to put points on the separation surface, then we connect these points by edges by a flip 2-3 and in the last step we put triangles between these edges using an edge removal. 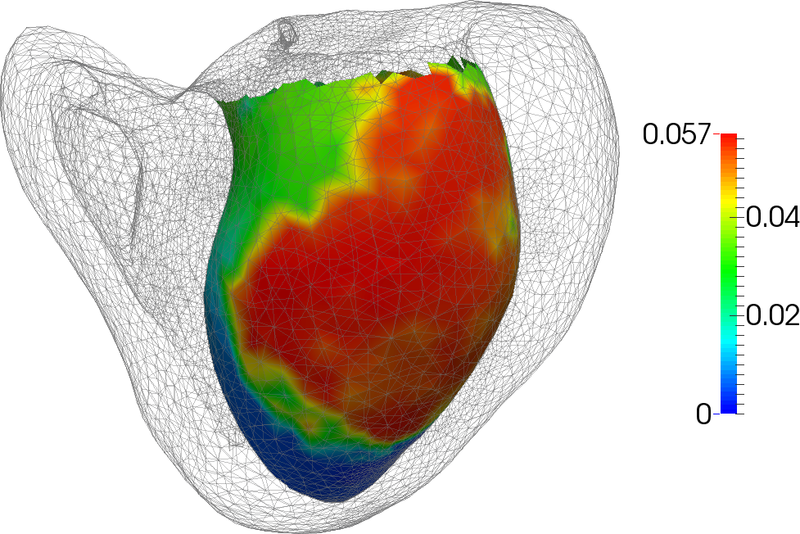 Following this procedure, we obtain a triangular approximation of the separation surface inside the tetrahedral mesh. Using the representation combinatorial maps avoids unnecessary updates of topological structures and allows a computation in real time. 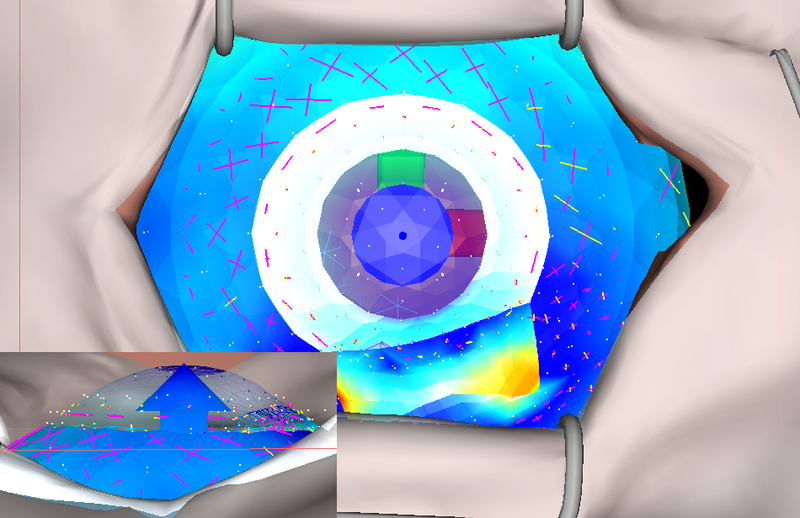 However, solely working with the remeshing idea, a separation surface close to a vertex of the tetrahedral mesh may lead to numerical instabilities and an increased computational cost. 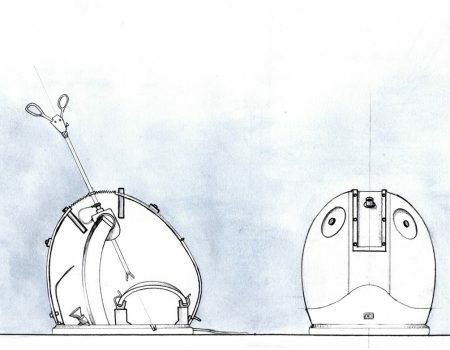 Therefore we combine the remeshing idea with an approach, that moves nodes that are close to the separation surface. The results we obtain are specifically interesting, as they maintain the real-time aspect necessary for simulating surgical interventions. 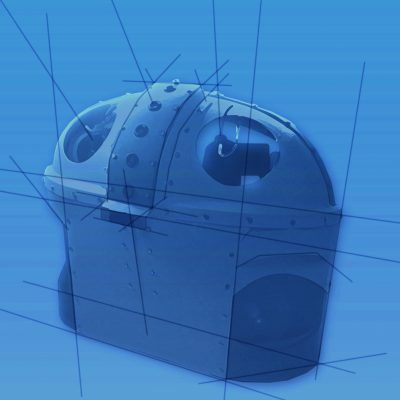 More information can be found in the publication “Virtual Cutting of Deformable Objects based on Efficient Topological Operations” mentioned below. The team Mimesis actively works on the development of SOFA. 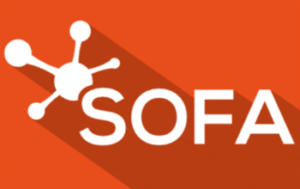 SOFA is an open-source framework primarily targeted at real-time simulation, with an emphasis on medical simulation. It is mostly intended for the research community to help develop newer models and algorithms. SOFA is currently being developed by 4 Inria teams: Mimesis, Evasion, Defrost and Asclepios. Based on C++, the SOFA engine is built using a flexible plugin architecture. With its high level of modularity, SOFA appears to be an efficient tools for benchmarking and developing new training medical technologies. Members of the team are also working for the creation of a consortium around SOFA. To know more about SOFA and all the applications based on this simulation framework, you can visit the SOFA official website. All the simulation work done within the team are using the framework SOFA. Have a look at our gallery ! Deep brain stimulation is a neurosurgical treatment involving the permanent implantation of electrodes in the brain, to stimulate a specific deep structure. Electrical stimulation of some brain structures treats symptoms of motor or affective neurological disorders. The success of the operation relies on the electrode placement precision, for which the goal is to maximize the therapeutic outcomes, and minimize the adverse effects. To do that, a preoperative planning step determine the target coordinates to stimulate, as well as the electrode trajectory to reach it, thanks to a combination of medical images of the patient and numerical tools. However, intraoperative brain deformation, called brain shift, might invalidate the planning. 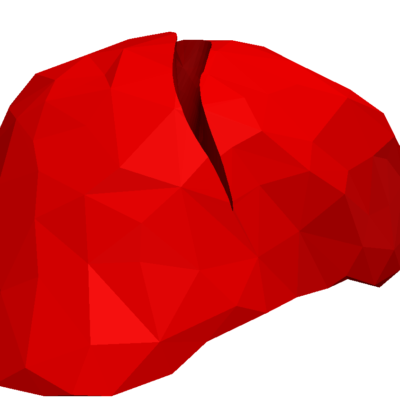 This project relied on a biomechanical model of brain shift which comprises a mechanical model for deformation, as well as a model of cerebrospinal fluid leak. 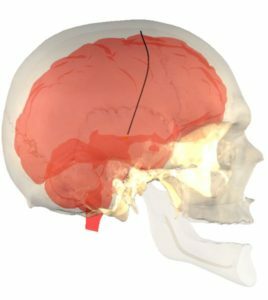 We presented a preoperative tool, based on our model, in order to provide the surgeon with an information on the deformation risks, that he could use to select a safe trajectory for the patient, even in the case of brain shift. 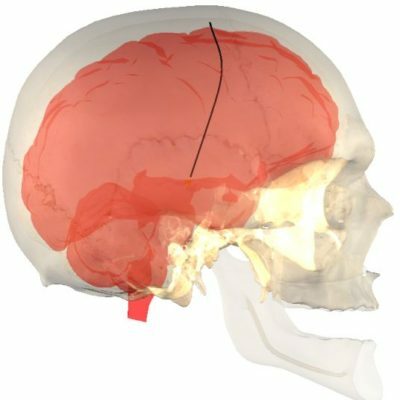 Moreover, we proposed an intraoperative registration method based on our biomechanical model, in order to compute the new location of anatomical structures. 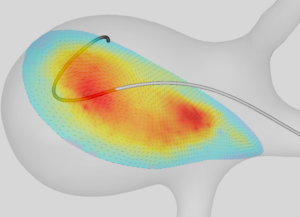 Finally, thanks to a model of insertion of the electrode and its interaction with brain tissue, we reproduced the operating protocol in order to compute the electrode curvature due to brain shift. Biomechanical Simulation of Electrode Migration for Deep Brain Stimulation Alexandre Bilger, Jérémie Dequidt, Christian Duriez, Stéphane Cotin 14th International Conference on Medical Image Computing and Computer-Assisted Intervention – MICCAI 2011, Sep 2011, Toronto, Canada. Firstly, we aim at achieving a level of quality and robustness compatible with IEC 62304 for the core of SOFA and a reduced set of components. This does not include the certification of the code itself, but rather the implementation of a comprehensive development process that will enable the certification by companies wishing to integrate this code into their systems. 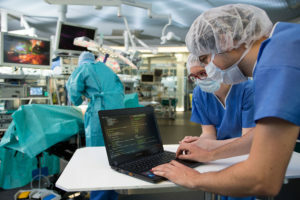 Secondly, the objective is to add new features specific to the needs of using intraoperative: interoperability with equipment from the operating room, acquisition and real-time processing of full HD video streams, data assimilation and predictive filters, path planning, visualization for augmented reality, or user interfaces dedicated to the operating room. Framework for Augmented Reality in Minimally Invasive Laparoscopic Surgery Bruno Marques, Rosalie Plantefève, Frederick Roy, Nazim Haouchine, Emmanuel Jeanvoine, Igor Peterlik, Stéphane Cotin Proceedings of iOR15: 1st International Workshop on Intelligent Operating Rooms, 17th International Conference on E-health Networking, Application & Services (IEEE Healthcom 2015), Boston, 2015. 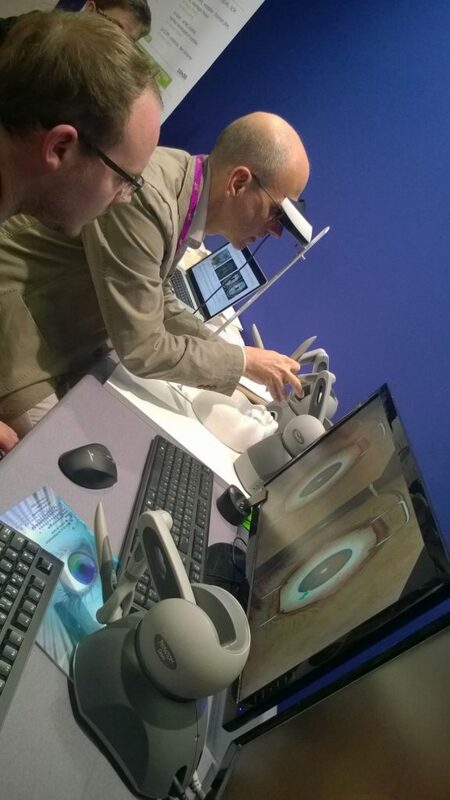 Improving depth perception during surgical augmented reality Bruno Marques, Nazim Haouchine, Rosalie Plantefeve, Stéphane Cotin SIGGRAPH [Poster], Aug 2015, Los Angeles, United States. pp.Article No. 24, 2015. Needles are used in many forms of medical diagnosis and treatment, from tissue biopsies to placement of radioactive seeds for cancer treatment. It is now possible to perform such procedures under 2D or 3D image guidance, allowing the assessment of the needle placement. 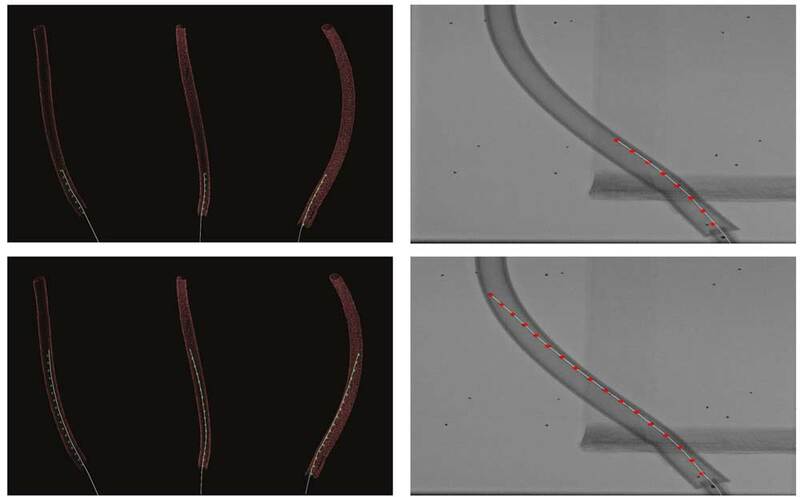 In addition, new thin and flexible needles that can be steered through deformable tissues around tissue obstacles, permit to reach specified anatomical targets that would otherwise not be accessible. 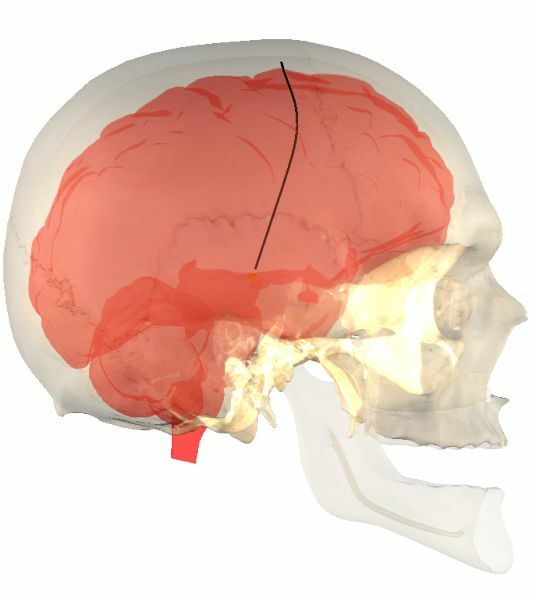 One key difficulty remains: soft tissue motion, either due to breathing or deformation induced by the needle, changes the location of the initial target. Either when using image guidance, or robotic control of the needle insertion, this remains a major obstacle. In this project we developed an advanced path planning method which accounts for both tissue and needle deformation, avoids anatomical obstacles, and maximizes chances to reach the target. 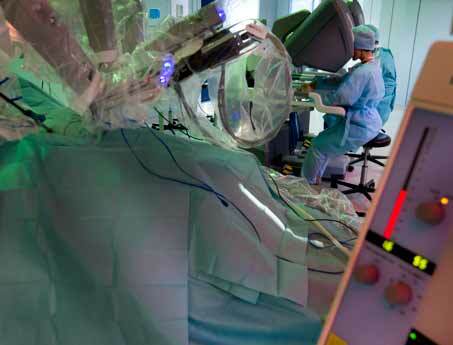 This has direct applications in preoperative planning, per-operative guidance, and control for robotics. Our approach combined advanced modeling of the needle, liver tissue deformation, tissue-tool interactions, and planning algorithms. By offering the ability to accurately plan percutaneous procedures while accounting for tissue and needle deformation, our approach has the potential to improve targeting accuracy for a wide range of procedures, including biopsy, and tumor ablation. These advances could in return improve the outcome of existing procedures and enable needle-based procedures for conditions that currently require open surgery or systemic treatment. 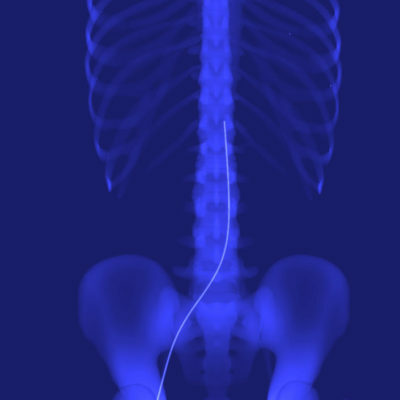 REBOA (Resuscitative Endovascular Balloon Occlusion of the Aorta) is a potentially life saving procedure to stem bleeding into the abdomen and lower body. 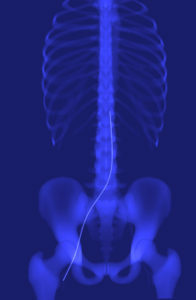 A balloon catheter is inserted through into the common femoral artery in the groin specific zones in the aorta and inflated, temporarily blocking blood flow while repairs are effected. It is typically performed without live imaging assistance, and animal-based training is not suitable. A simulation-based training system is needed to allow military and civilian trauma and emergency physicians to learn standard technique and use of new REBOA catheters. 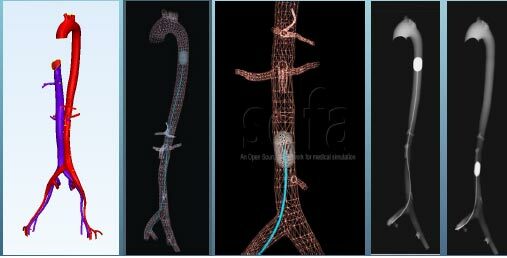 Expanding our previous works on interventional radiology simulation, we are developing the physics-based models for catheter and guidewire motion, blood flow and graphical rendering towards a novel simulator for REBOA that will include physical vascular access, simulated passage of the IR instruments into the aorta with accompanying training/educational content, device withdrawal and closure. 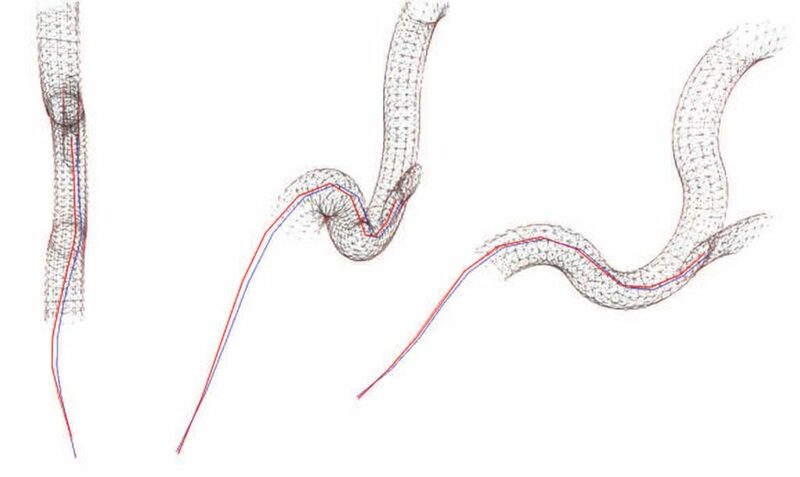 The system is designed to be compatible with CODA balloon catheters, the newer ER-REBOA catheter and other similar systems. 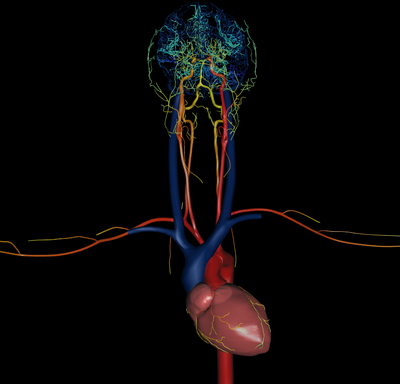 Motion of and reaction forces on the devices passing through the vasculature, and blood flow within virtual vessels is computed in real-time, and synthetic views of virtual instrument motion can be displayed to the trainee to provide understanding of the procedure and illustrate when errors are committed. Errors such as venous access and incorrect location of balloon inflation can be detected. The underlying software architecture links the wireless, battery powered trackers to a portable tablet or similar interface, which can record performance for later review and evaluation. EVEREST research project funded by ANR (l’Agence National de la Recherche) is a project that aims at creation of Virtual Platform for Surgical Training. 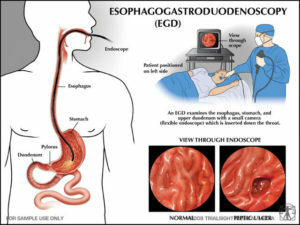 In this context, Flexible endoscopy is a minimally invasive surgical technique that remains very challenging to learn. We have developed a first version of a training simulator using advanced physics and real-time computation. A final prototype of the simulator is scheduled for delivery mid-2018. Development of the endoscopy simulator: Ex-vivo, in-vivo feasibility study with Xsens (operator) and Aurora tracking systems (endoscope). Development of the tracking method. 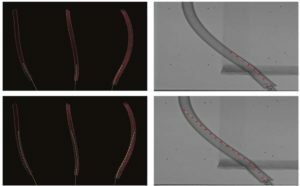 Validation of a ‘machine learning’ and ‘dynamic time warping’ method for movements recognition during endoscopic gestures. 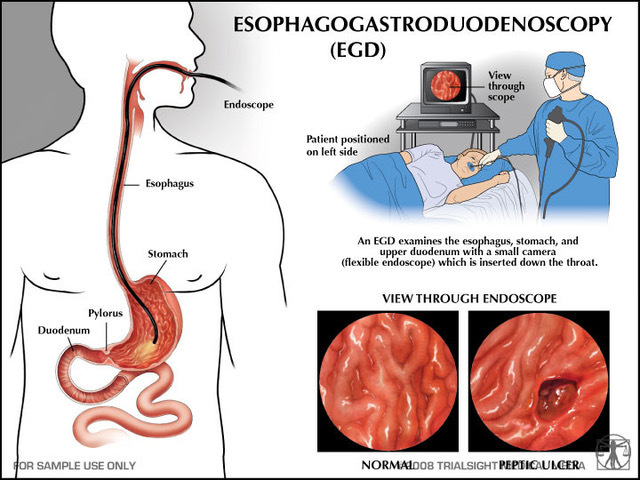 Writing of a clinical protocol «Study of both operator and endoscope movements during digestive endoscopy ». Our team is a partner for the organization of flexible endoscopy courses by prototyping a first version of a low cost simulator of flexible endoscopy based on an hardware component (developed in collaboration with the University of Twente, the Netherlands) and a software component simulating the movement of the flexible endoscope. We are also involved in real-time simulation of the parametric endoscope from real-life experiments, in a free work space. 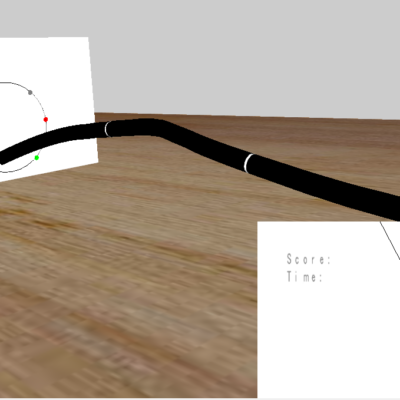 Next steps will be to take into account the environment of the endoscope in order to constrain its movements and work on the material part, to measure the movements of the endoscope and control it in flexion as well as to participate in the validation of the flexible endoscopy skills measurement simulator. 1. Intraoperative vessel extraction from US, and initial registration of preoperative model. 2. 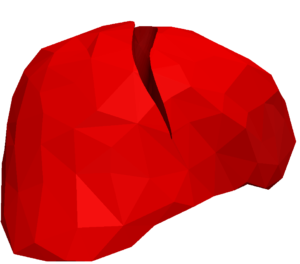 Liver deformation from biomechanical model driven from US images’ vessels. 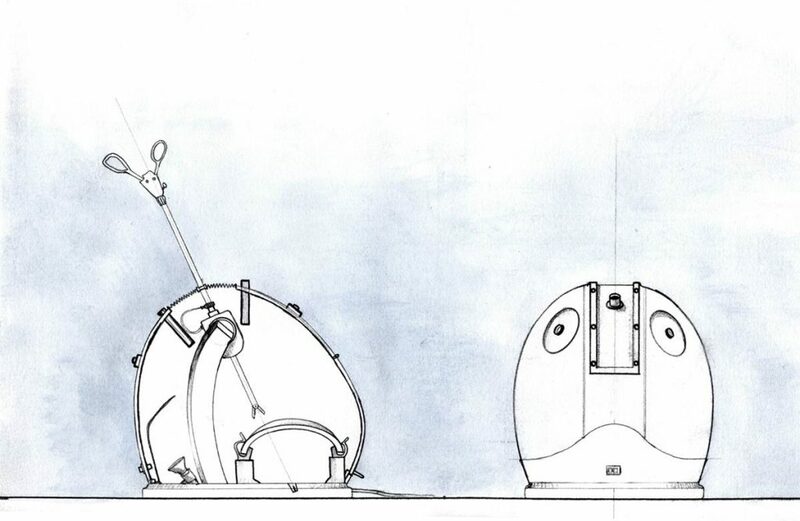 CELTS represents an innovative and intuitive solution to early laparoscopic surgical training. This training system arose from surveys of practicing laparoscopic surgeons and addresses the skills required to attain proficiency in early surgical practice. 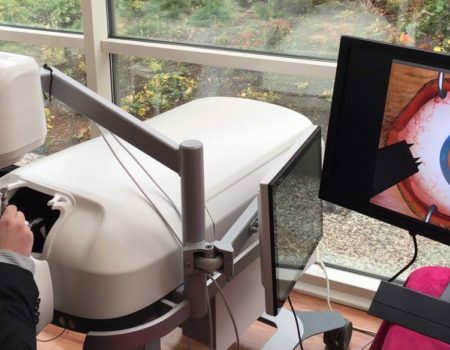 Unlike virtual reality simulators, CELTS uses real laparoscopes, video displays and exchangeable instruments, so learning is intuitive to the student. An integrated tracking device follows both right and left instrument position while the software computes a set of key parameters including depth perception, ambidexterity, smoothness of motion, instrument orientation, path length and time. From these parameters, a single score describing student performance, is instantaneoulsy computed and displayed to the user. The CELTS hardware and software architectures were expressly designed to permit task-independent performance assessment. Beginning with some of the SAGES FLS tasks, CELTS also permits suturing using actual needles and suture, including laceration repair and Nissen wraps. The score computed by the system represents a statistical comparison of student performance to an archived and expandable base of experts. CELTS is web-compatible, so scores can be transmitted to central data files at offsite locations. .
Nicholas Stylopoulos, Stéphane Cotin, Sk Maithel, M Ottensmeyer, Pg Jackson, et al.. Computer-enhanced laparoscopic training system (CELTS): bridging the gap. Surgical Endoscopy and Other Interventional Techniques, 2004, 18 (5), pp.782--789. Stéphane Cotin, Nicholas Stylopoulos, Mark Ottensmeyer, Paul Neumann, Ryan Bardsley, et al.. Surgical training system for laparoscopic procedures. US Patent App. 10/797,874. 2004. 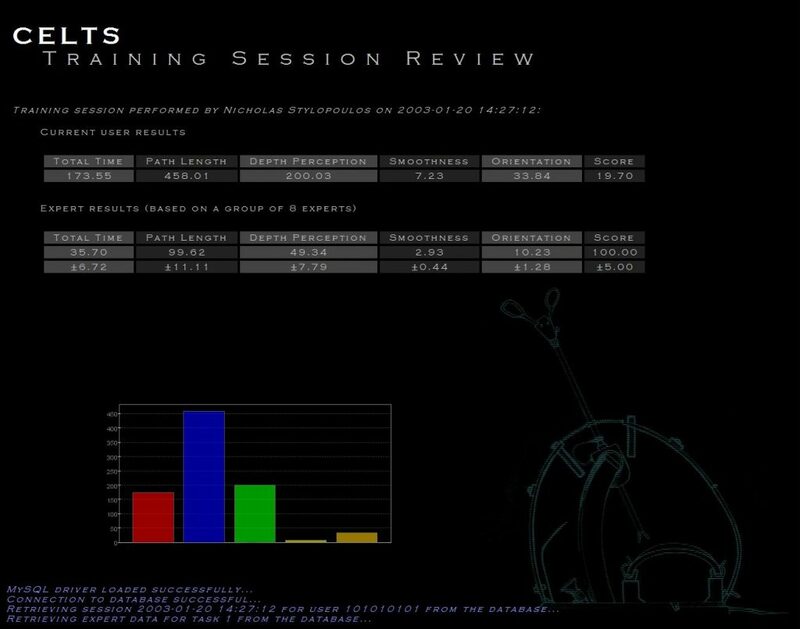 Nicholas Stylopoulos, Stéphane Cotin, Steven Dawson, Mark Ottensmeyer, Paul Neumann, et al.. CELTS: a clinically-based Computer Enhanced Laparoscopic Training System. Stud Health Technol Inform., 2003, 94, pp.336--342. Stéphane Cotin, Nicholas Stylopoulos, Mark Ottensmeyer, Paul Neumann, David Rattner. Metrics for laparoscopic skills trainers: the weakest link!. International Conference on Medical Image Computing and Computer-Assisted Intervention, . pp.35--43, 2002. Endovascular surgery is a medical specialty of minimally invasive procedures which treats pathologies affecting the blood vessels relying on the use of catheters, guide-wires and other endovascular devices. During the intervention, the clinician relies entirely on fluoroscopic images, obtained through a X-ray beam, allowing to display in real time the anatomy of the patient, the current position of the catheter and its displacements within the blood vessels. Despite the evident benefits of this technique, the exposure of both clinicians and patients to cumulative doses of ionizing radiation is an important issue. A contrast medium – which is usually allergenic and nephrotoxic – needs to be injected regularly in the vascular system in order to visualize blood vessels through which the instruments are inserted. In addition, fluoroscopic images are characterized by a lack of depth perception and by a poor quality of visualization, due to overlaying structures within the grey-scale image. 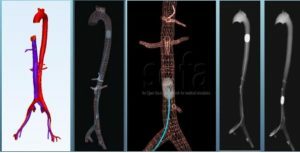 To overcome all the above limitations, we propose an augmented scenario in which 2D fluoroscopic images are combined with a 3D real-time simulation of the catheter navigation within the blood vessels. The main aim of this project is to find the best fitting method for the implementation of such simulation (physics-based simulation, stochastic filtering..) and then eventually integrating it within an operating room. Regional Anesthesia Simulator and Assistant (The RASimAs project ) was a European research project with the purpose of gathering European experts from very diverse fields, from computer sciences to anesthesiology, to bring an innovative tool in the hands of the medical doctors to perform safer regional anesthesia for the patient at reduced cost for the society. For that purpose, a virtual reality simulator and assistant were developed, providing an innovative way for medical doctors to train extensively on virtual patients and to be assisted by additional patient-specific information during the procedure. a Regional Anaesthesia Assistant (RAAs), which will assist the physicians during the actual procedures. 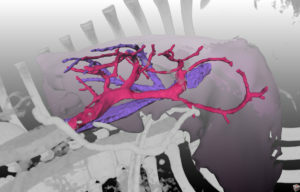 The MIMESIS team was a leader of a Work Package in charge of Patient-Specific Virtual Models. The whole operation of regional anesthesia was simulated into SOFA. 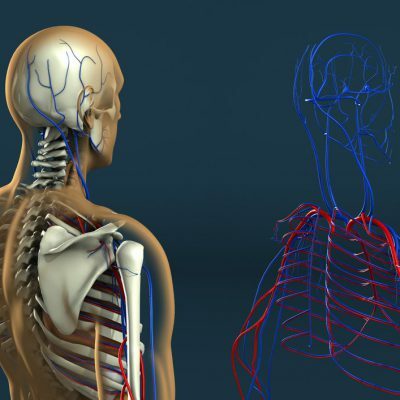 The anatomy of the patient (skin, bones, muscles, nerves and vessels) was modelized based on the finite element method. 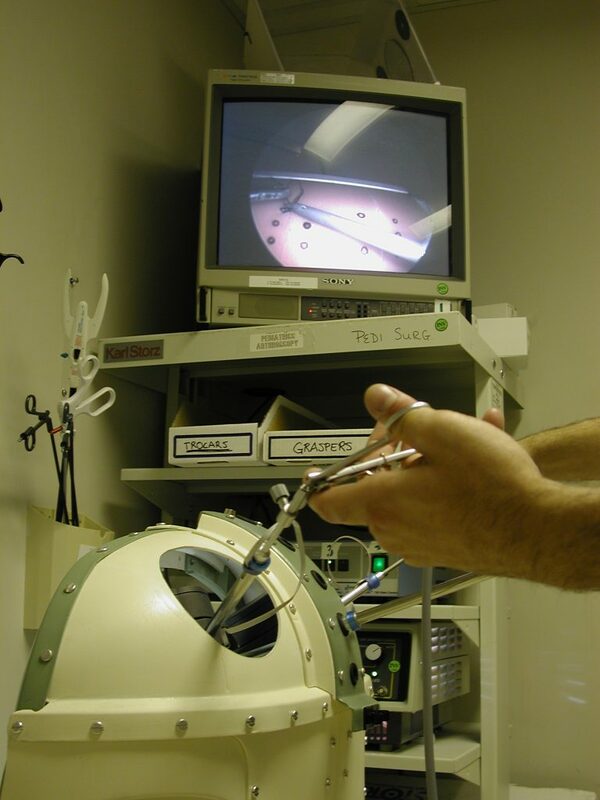 A simulated needle is inserted into the limb being headed for the nerve that have to be blocked. The simulator handles an Ultra-Sound visualisation as well as electrical nerve stimulation. In many cases, general anesthesia is still favored over RA even when RA should theoretically be the method of choice, despite its documented benefits for patients: lower cardiovascular stress and other complications, reduced postoperative pain, earlier mobility, shorter hospital stay, and ultimately significantly lower costs. The slow adoption of RA is due to the lack of physician training. Therefore, the key challenge is the training of physicians in order to increase the market adoption of RA procedures. RASimAs is expected to bring significant clinical, economic and scientific impacts. In particular the results of RASimAs will enable to stimulate the replacement of general anesthesia by regional anesthesia in many cases, leading to improved patient care, reduced complications and lower costs. Controlled clinical trials to evaluate computer-based models and patient-specific approach will demonstrate the benefits of the technology in clinical environment. 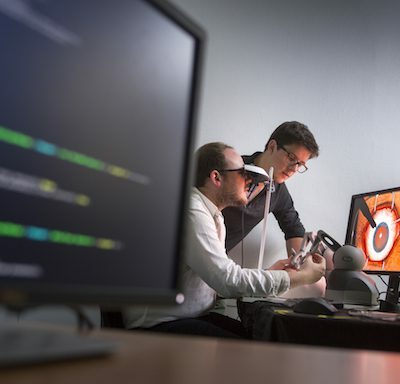 Advanced research in virtual reality medical simulation as well as real-time assistance based on patient-specific data will accelerate the scientific deployment of such technologies in clinical environment. Finally, by replacing general anesthesia with RA and improving the success rate of RA procedures, significant reduction of costs are expected, estimated at 100,000 Euros by year and operating theater. Despite the improvements of surgical techniques and tools, some interventions remain very challenging for clinicians. 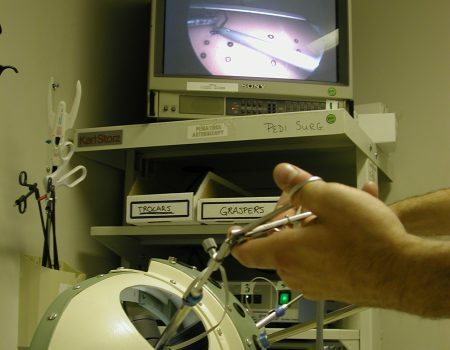 During abdominal minimally invasive surgery visual feedback is limited. 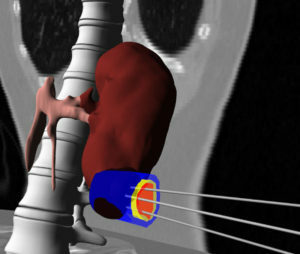 Only a partial view of the organ’s surface is seen through the endoscopic camera. Moreover, the pneumoperitoneum, required for minimally invasive procedures, strongly deforms the abdominal organs, making it very difficult to mentally register the pre-operative CT data. Still, the surgeons need to know where internal structures such as tumors or vessels are located. Therefore, they have to mentally register the preoperative images of the organs onto the endoscopic view to locate these structures. 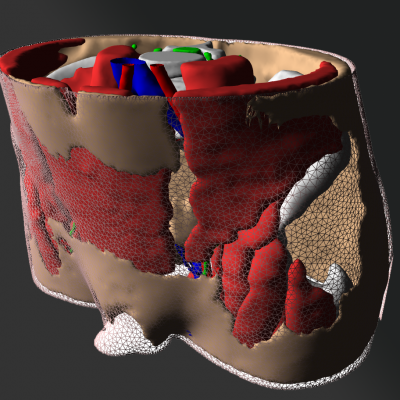 Our contribution is to provide surgeons with an enhanced visualization of organ’s internal structures during the surgery. 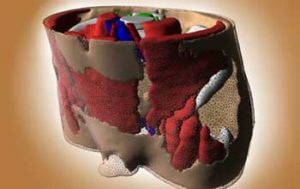 This involves biomechanical modeling of the liver, including its vascular structures, and real-time, elastic registration of the pre-operative data onto a partial view of the liver surface. This surface is reconstructed from a pair of laparoscopic images acquired with a stereo-endoscopic camera (Storz or Intuitive Surgical). Using Contours as Boundary Conditions for Elastic Registration during Minimally Invasive Hepatic Surgery. Nazim Haouchine, Frederick Roy, Lionel Untereiner, Stéphane Cotin International Conference on Intelligent Robots and Systems, Oct 2016, Daejeon, South Korea. Simultaneous Pose Estimation and Augmentation of Elastic Surfaces from a Moving Monocular Camera. Nazim Haouchine, Marie-Odile Berger, Stephane Cotin International Symposium on Mixed and Augmented Reality, Sep 2016, Merida, Mexico. Patient-specific Biomechanical Modeling for Guidance during Minimally-invasive Hepatic Surgery. Rosalie Plantefève, Igor Peterlik, Nazim Haouchine, Stéphane Cotin Annals of Biomedical Engineering, Springer Verlag, 2015. 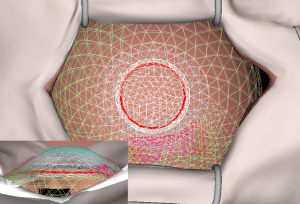 Monocular 3D Reconstruction and Augmentation of Elastic Surfaces with Self-occlusion Handling. Nazim Haouchine, Jeremie Dequidt, Marie-Odile Berger, Stephane Cotin IEEE Transactions on Visualization and Computer Graphics, Institute of Electrical and Electronics Engineers, 2015. 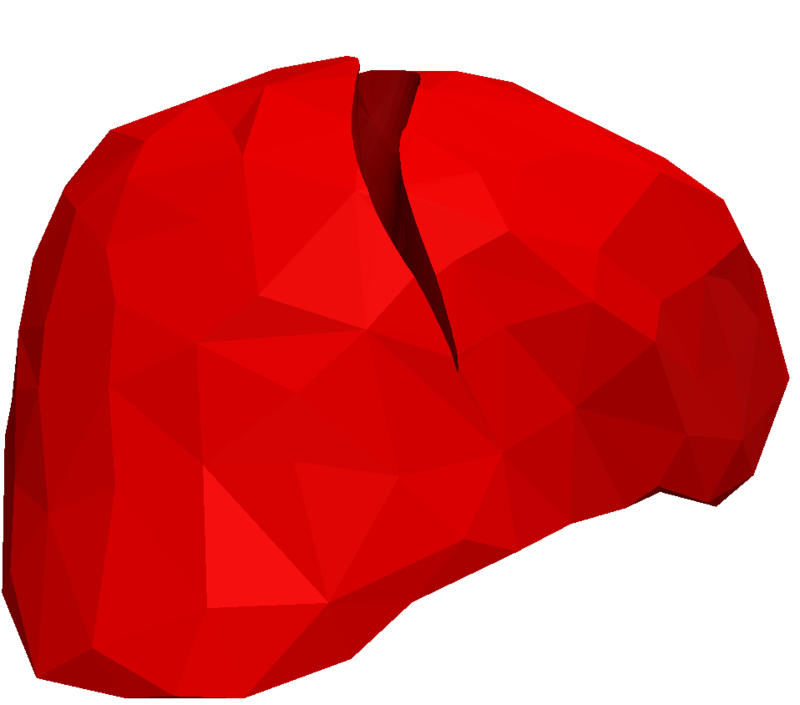 Impact of Soft Tissue Heterogeneity on Augmented Reality for Liver Surgery. Nazim Haouchine, Stephane Cotin, Igor Peterlik, Jeremie Dequidt, Mario Sanz-Lopez, Erwan Kerrien, Marie-Odile Berger IEEE Transactions on Visualization and Computer Graphics, Institute of Electrical and Electronics Engineers, 2015, 21 (5), pp.584 – 597. Augmented Reality during Cutting and Tearing of Deformable Objects. Christoph Paulus, Nazim Haouchine, David Cazier, Stephane Cotin IEEE International Symposium on Mixed and Augmented Reality, Sep 2015, Fukuoka, Japan. 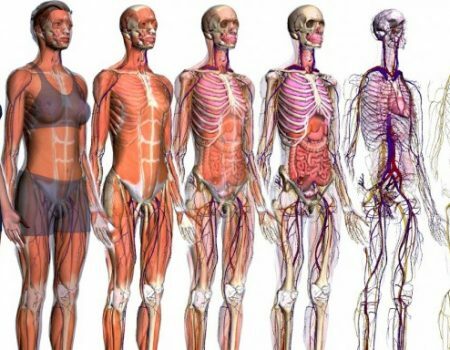 Many approaches have been proposed to represent and structure anatomy in order to facilitate its learning: illustrations, books, cadaver dissections and 3D models. However, in these static media, it is difficult to understand and analyse motion, which is essential for a better understanding of anatomy. We have developed an original and innovative tool to learn anatomy named "Anatomime". 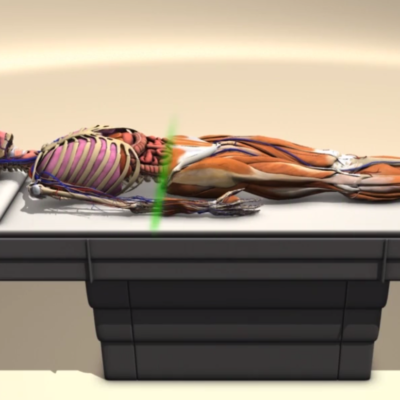 It allows the user to visualize a human-size virtual anatomical model (skin, skeleton, muscles, nerves, veins, arteries and organs) while it follows the user's movements. 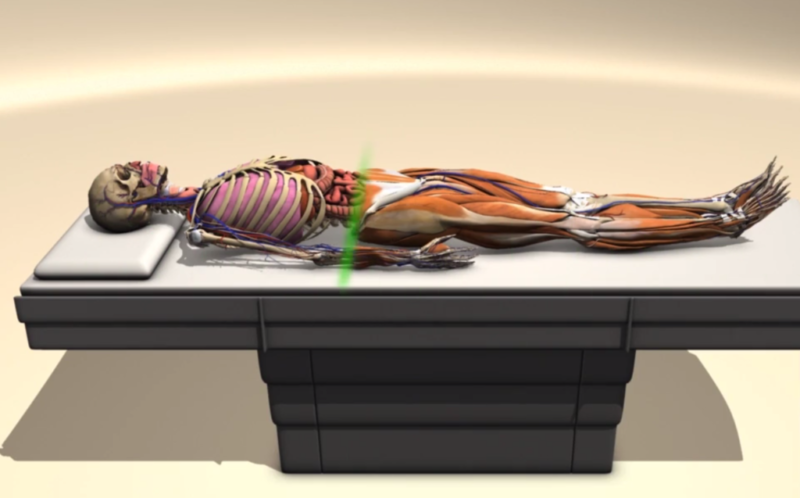 A Kinect is used to capture body motions, and a physics-based model is used to provide a robust, realistic animation of the virtual body. 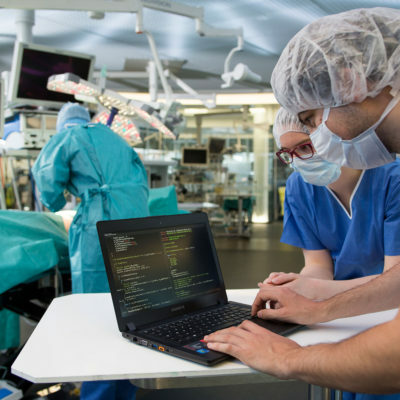 The HelpMeSee simulation training program is intended to replace the traditional MSICS training, which is primarily dependent on performing live surgery. HelpMeSee believes that the Eye Surgical Simulator will reduce the time required to acquire surgical skills and qualifying for independent surgery. 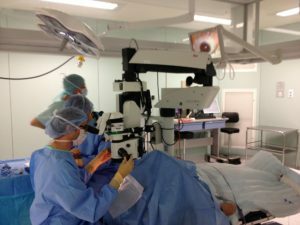 Once completed, simulation-based training will likely prove to be a more effective method to train the large numbers of qualified surgeons who are needed to significantly reduce the number of blind people due to cataracts. 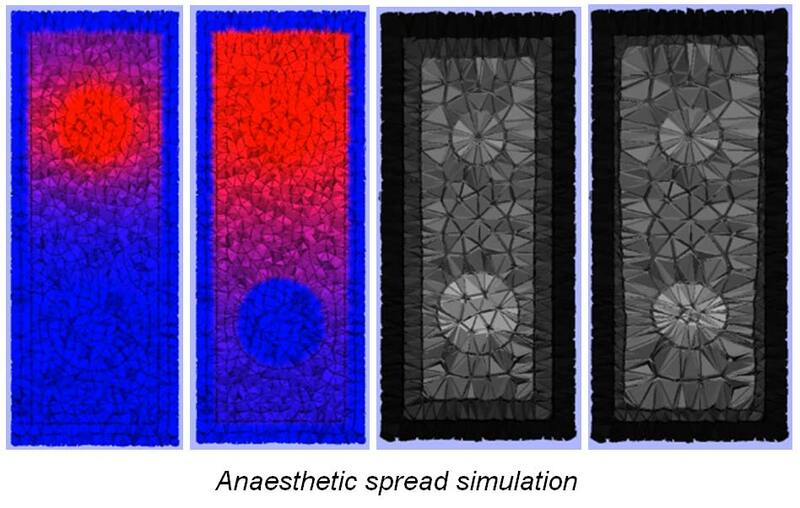 Real-time simulation of contact and cutting of heterogeneous soft-tissues - Hadrien Courtecuisse, Jeremie Allard, Pierre Kerfriden, Stephane Pierre-Alain Bordas, Stephane Cotin, Christian Duriez. Medical Image Analysis, Elsevier, 2014, 18 (2), pp.394-410. 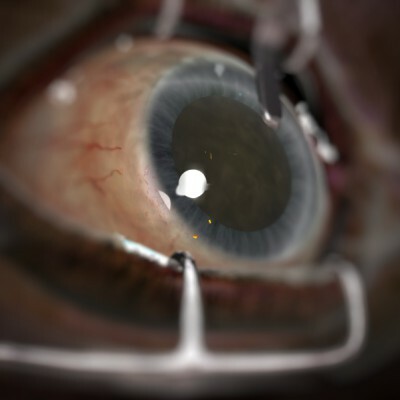 Preconditioner-Based Contact Response and Application to Cataract Surgery - Hadrien Courtecuisse, Jérémie Allard, Christian Duriez, Stéphane Cotin. G. Fichtinger and A. Martel and T. Peters. MICCAI - 14th International Conference on Medical Image Computing and Computer Assisted Intervention - 2011, Sep 2011, Toronto, Canada. Springer, 6891, pp.315-322, 2011, Lecture Notes in Computer Science. 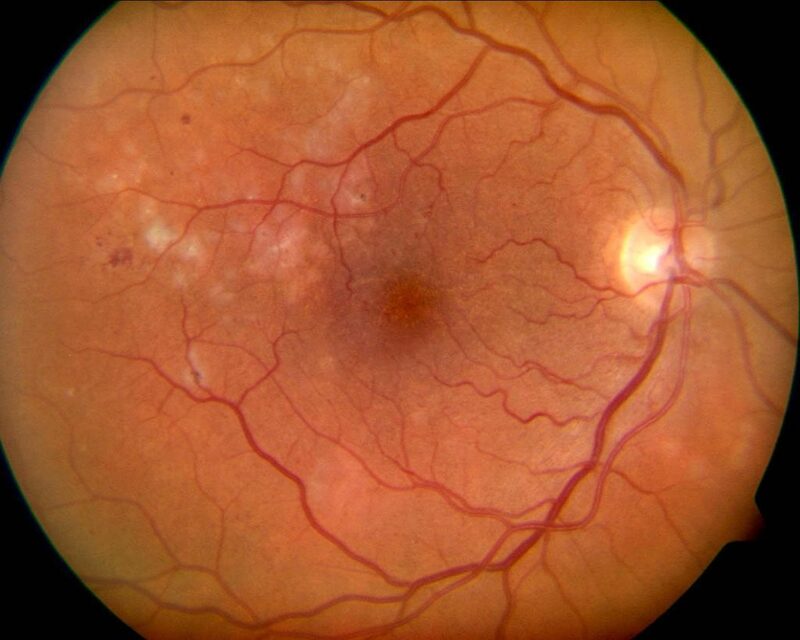 According to the world health organization, retinal diseases are responsible for at least 10 millions of blind people. They represent already 15% of the causes of visual impairment and are probably underestimated. Retina surgery is complex, various and patient-specific. The full breadth of training for a retina specialist represents on average more than 10 years. This is obviously related to the difficulty of accessing the retina and possible complication rates in case of errors, but also due to the relatively large number of surgical options: retinal laser surgery (used to treat a variety of problems including retinal tears, retinal holes, small retinal detachments and leaking blood vessels); scleral buckling surgery (considered as the traditional surgery for retinal detachments); pneumatic retinopexy (involves the intraocular injection of an inert gas bubble to press on the retina and seal the retinal break); and vitrectomy (used to treat the most severe retinal detachments). Throughout this project we have developed a high-fidelity training system for retinal surgery. The simulator uses a custom-designed hardware (developed by MOOG, in collaboration with HelpMeSee) which includes a haptic interface and a binocular. The haptics uses an admittance control paradigm, involving a force sensor for high fidelity feel. On the software side, we have continued the development of a realistic eye model (work initially started for our project on cataract surgery). 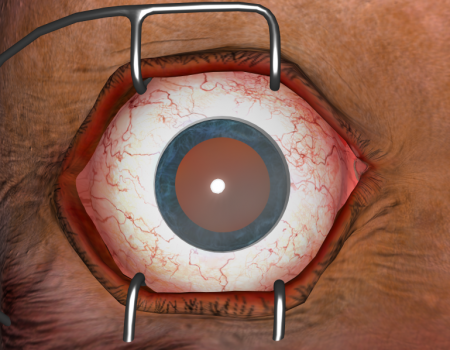 The main novelties include the interactive placement of trocars, the insertion of various instruments through the trocars, and the manipulation of the epiretinal membrane. 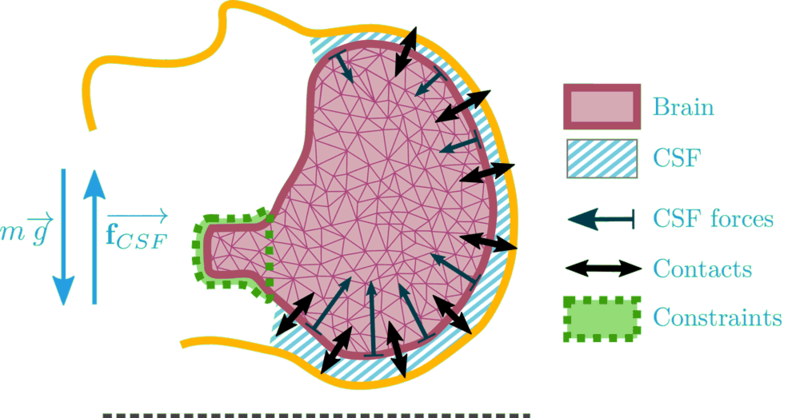 The membrane is modeled as a set of shell elements solved using a FEM method. Tearing of the virtual membrane is computed using stress or strain analysis. All computations are performed in real-time and include the computation of the deformation, collision detection, collision response and realistic rendering. RESET: REtinal Surgery systEm for Training. S. Cotin, J.J. Keppi, J. Allard, R. Bessard, H. Courtecuisse, D. Gaucher. 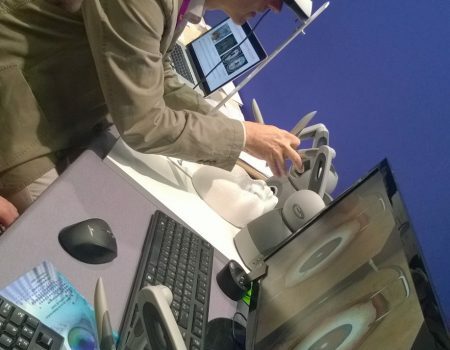 European Association for Vision and Eye Research Conference, 2015. 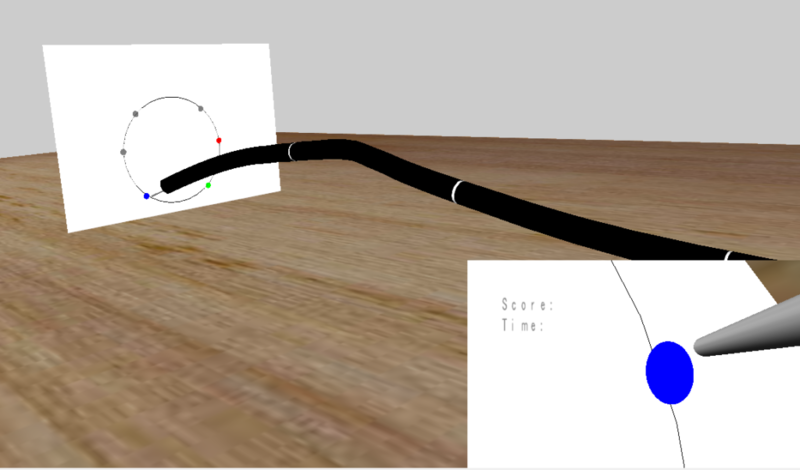 Haptic Rendering of Hyperelastic Models with Friction. H. Courtecuisse, Y. Adagolodjo, H. Delingette, C. Duriez. International Conference on Intelligent Robots and Systems (IROS), 2015. 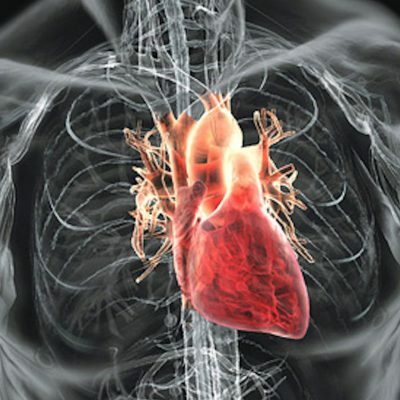 Recent progress in cardiac catheterization and devices allowed the development of new therapies for severe cardiac diseases like arrhythmias and heart failure. The skills required for such interventions are still very challenging to learn, and typically acquired over several years. Virtual reality simulators can reduce this burden by allowing to practice such procedures without consequences on patients. 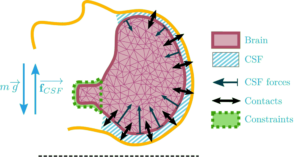 This work is a step towards computerized medical learning curriculum. 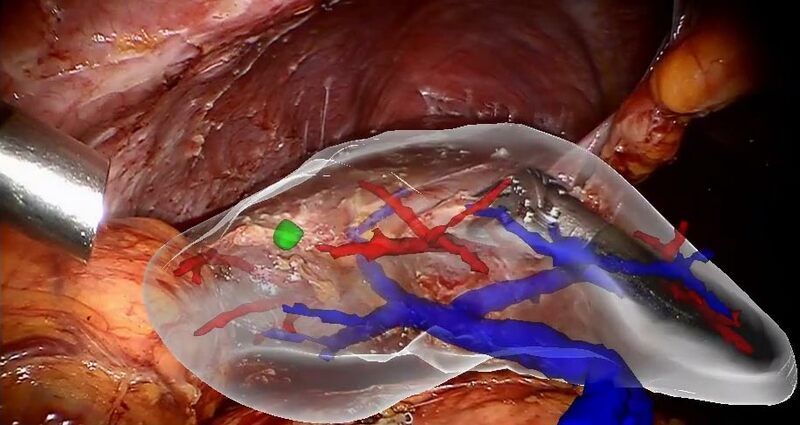 Interactive Training System for Interventional Electrocardiology Procedures Medical Image Analysis (2016)Talbot, H. and Spadoni, F. and Duriez, C. and Sermesant, M. and O ‘Neill, M. and Jaïs, P. and Cotin, S. and Delingette, H.
Towards an Interactive Electromechanical Model of the Heart Hugo Talbot, Stéphanie Marchesseau, Christian Duriez, Maxime Sermesant, Stéphane Cotin, Hervé Delingette Interface Focus, Royal Society publishing, 2013, The Virtual Physiological Human: Integrative Approaches to Computational Biomedicine, 3 (2), pp.4. Towards An Interactive Electromechanical Model of the Heart Interface Focus Royal Society (2012) Talbot, H. and Marchesseau, S. and Duriez, C. and Sermesant, M. and Cotin, S. and Delingette, H.
Biomechanics-based graph matching for augmented CT-CBCT Jaime Garcia Guevara, Igor Peterlik, Marie-Odile Berger, Stephane Cotin. International Journal of Computer Assisted Radiology and Surgery, Springer Verlag, 2018, 13 (6), pp.805-813. 〈10.1007/s11548-018-1755-1〉. 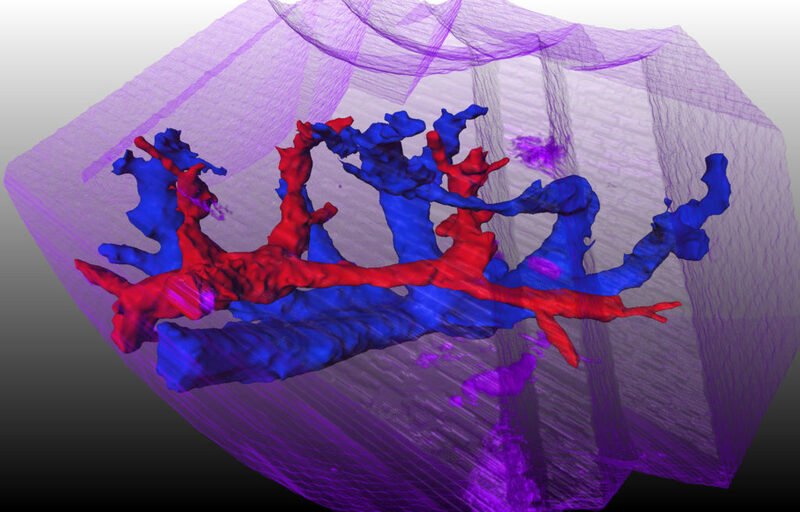 Fast Elastic Registration of Soft Tissues under Large Deformations Igor Peterlik, Hadrien Courtecuisse, Robert Rohling, Purang Abolmaesumi, Christopher Nguan, Stéphane Cotin, Septimiu E Salcudean Medical Image Analysis, Elsevier, Volume 45, April 2018, Pages 24-40. 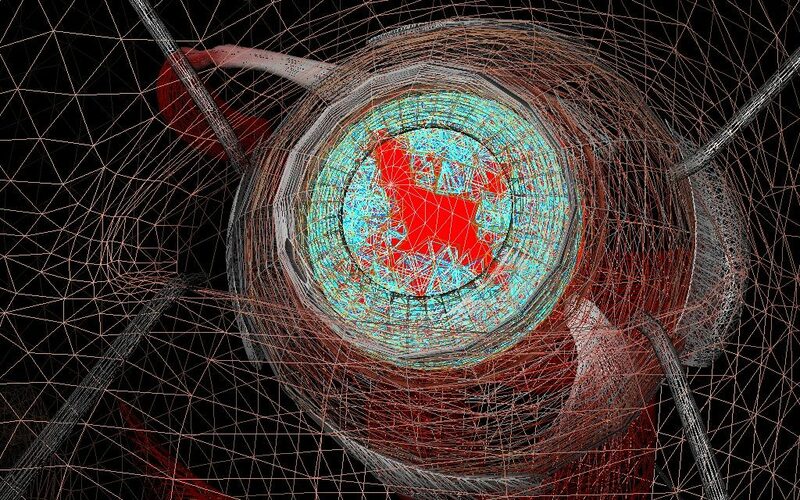 Environment-aware non-rigid registration in surgery using physics-based simulation. Antoine Petit, Stéphane Cotin – Proc. 14th Asian Conference on Computer Vision (ACCV 2018), Dec 2018, Perth, Australia. © Stéphane Cotin, 2018. All rights reserved.